The challenge was to take one of the classic Universal Stuidos monsters and re-design them. 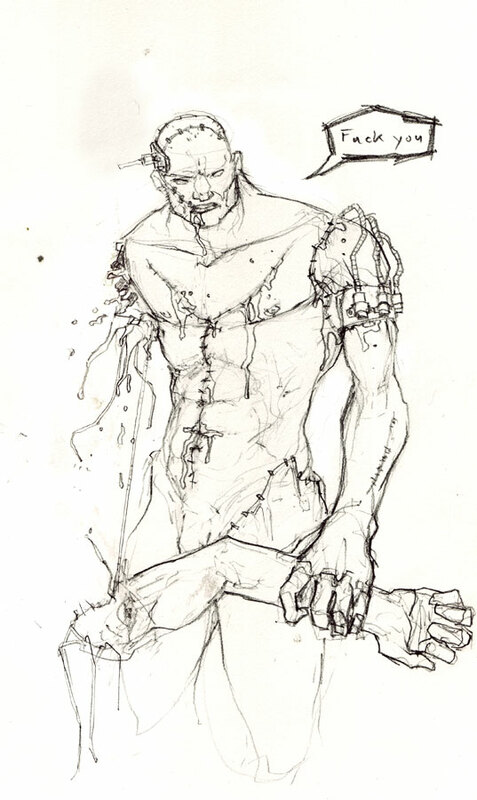 I liked the idea of Frankenstein’s monster ripping his own arm off and beating someone to death with it. 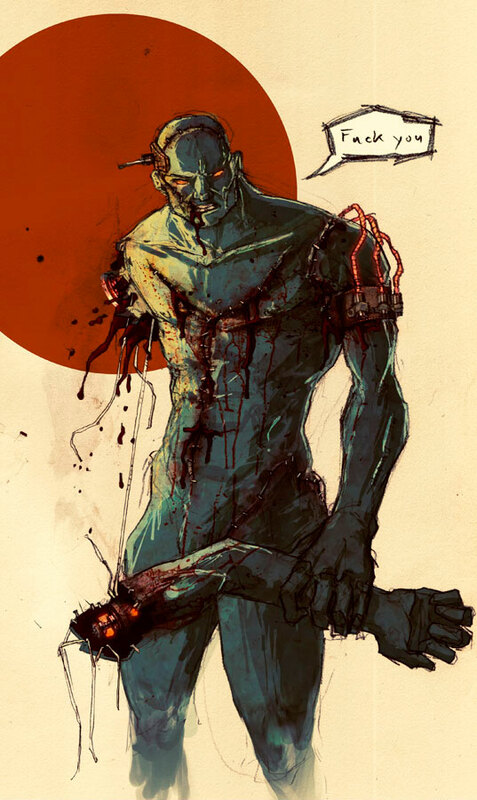 Drawn in pencil, painted and textured in photoshop.